In the School of Computing and IT, every effort is made to keep pace with modern pedagogical practices and emerging paradigms like MOOC, Moodle, webinars; the tools/aids for modern teaching; ever-evolving syllabi keeping pace with technological advancement and industry trends, etc. The research work in the most popular areas is being nurtured through internal research grants and sponsored project funding. The school is one of the biggest in MUJ with three-degree courses and the commensurate numbers of experienced faculty. Infrastructure – For campus facilities, I would give Manipal 3.5/5. Manipal has a good quality campus with all the facilities available for the students. Manipal has one campus and one hostel separated for girls and boys. The campus has several divisions in form of buildings for different branches and fields of students. The campus has three libraries for students working on the college timings. The college has three libraries, one is central and other are dedicated to the students of law and other branches. College has workshop classes for the students namely automobile workshop, basic workshop, mechanical workshop and others. Has one Amphitheatre, one auditorium, and classes are spacious with the capacity of at least 60 students, well equipped with projectors, speakers, and air conditioners. The faculty has their own space where one can go for solutions to their problems. Overall the campus is very good and well-spaced. 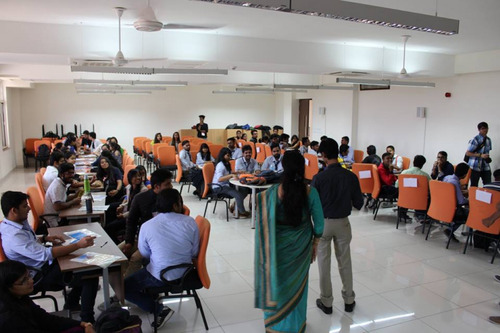 Placements – placements in Manipal is overall good. Average package last year was around 3.5-4 LPA. Highest package last year in my knowledge of 15 LPA by Amazon. 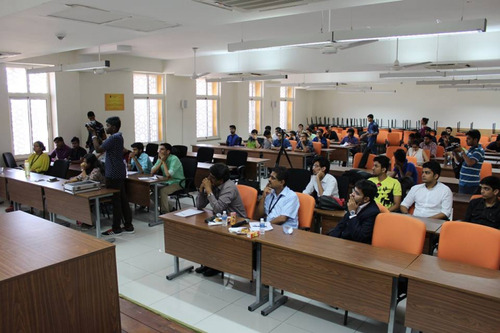 Companies such as Dell also came to the campus for placements and gave different packages to students. Faculty- the faculty in Manipal is good, are very cooperative and helps to solve problems at most of the time they get free. Students contact them during college time and after that also they can contact the faculty through WhatsApp and calls. Recreational activities – college has a bit hectic schedule many times but to relieve that hectic schedule it has many sports facilities for the students such as basketball, football, volleyball, tennis, badminton, squash, chess, table tennis and has respected courts for the same. 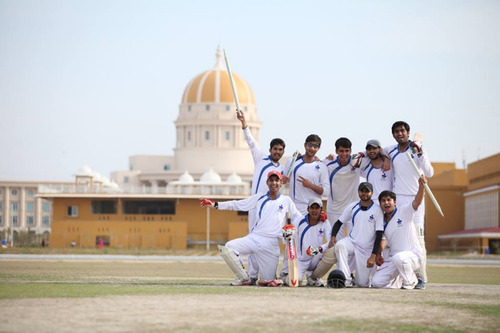 The college has many clubs for the overall development of students. Student diversity – students here are very cooperative and helpful. Mostly the crowd is from Haryana, Uttar Pradesh, Delhi, Hyderabad and Rajasthan. Affordability – college is costly but here most of the students are from rich families so they don’t bother much. 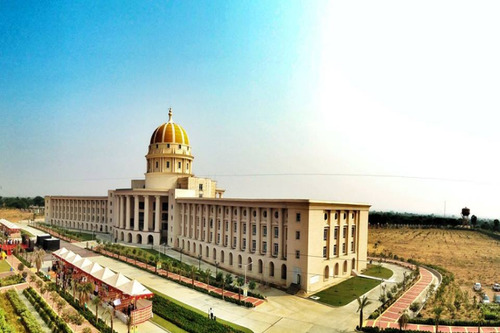 Infrastructure – Manipal University Jaipur has one of the most beautiful campuses amongst colleges in Rajasthan. It has one campus area with several buildings has one hostel comprising divisions of boys hosted and girls hostel. Manipal has two mess, one on campus and one in the hostel. Mess food is average campus comes on 4th position when it comes to cleanliness. Classes are also spacious with a capacity of at least 60 students fully equipped with projectors, speakers and air conditioners. College has one Amphitheatre, theatre for seminars, three libraries one of which is central while other two are for specific branches. Discussion rooms for the students. Hostel is also good with many facilities for the students. There is a 24*7 ambulance availability for the students and other basic needs of students is also taken care of. 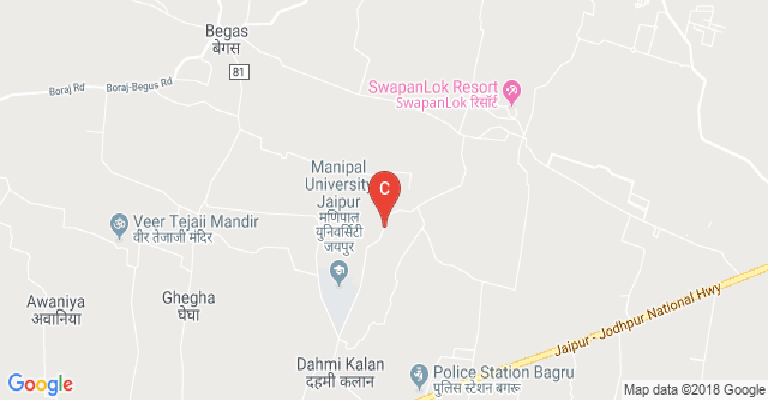 Overall Manipal has a very well planned campus Placements – For journalism students, there are no or almost 30% placements in Manipal University Jaipur. Most placements are from Dainik Bhaskar. 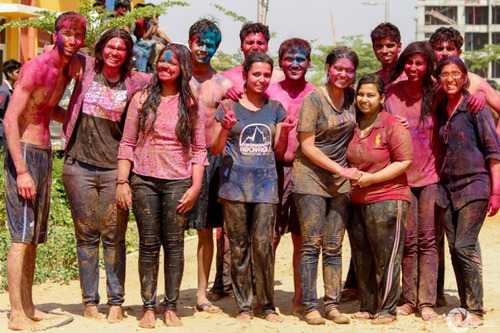 Recreational activities – college has very well kept in mind the refreshment and recreational needs of students although for the students who do not stay in the college is a bit tough time many times for the events that can be neglected keeping in mind the quality of the events. There are many clubs in the college for the students, the college has almost all the grounds and equipment for all the sports like basketball, volleyball, cricket, badminton, tennis, squash and indoor games. Faculty – faculty here is very cool and cooperative. Their methodology is also according to the current scenario. One can contact them anytime in problems related to studies. 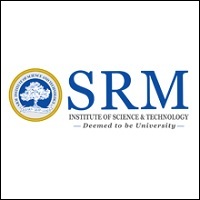 Student diversity – students here are mainly from Delhi, Hyderabad, Uttar Pradesh and other states. They are very helpful and cooperative. Affordability – college is bit costly but it fulfills the cost. 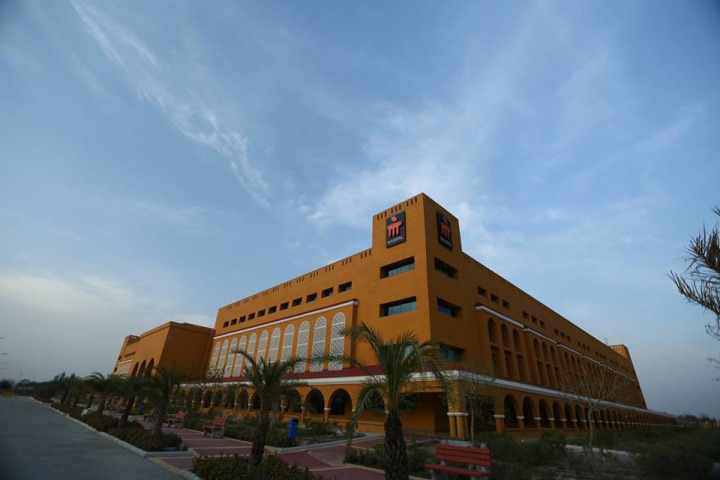 Infrastructure – Manipal University, Jaipur has one campus, comprising of several buildings for different fields. The campus is good, classes are fully equipped with projectors, air conditioners with a seating capacity of 60 students each. The campus is 4th ranked in terms of cleanliness. Security is also good on the campus as well as hostel which is only a few meters away from college. The hostel has a capacity of at least 5000 students at a time. For medications, the hostel has a 24*7 ambulance ready. The college has two mess, one on campus and another in the hostel. Also, there are many different kinds of shops in college for food and beverages etc. college has 3 libraries, one central and two others. Faculty - faculty in Manipal is highly qualified. Most of them are have a Ph.D. degree. Their method of teaching is also good using PowerPoint presentations, interacting with students and other means such a messaging, extra classes etc.one can contact them anytime feasible. Placements - placements this year in Manipal was ok. Average packages were around 3.5-4 lakhs. Maximum package offered was of 15 LPA. Companies such a Dell, Amazon came to the college for interviews. Recreational facilities – hostel has many recreational activities for students such as badminton, tennis, squash, cricket, basketball, volleyball and many more. There are around 8 different clubs in the college. Cinefilia, art and drama club is well known among different colleges too. There are different courts for all the games mentioned earlier. 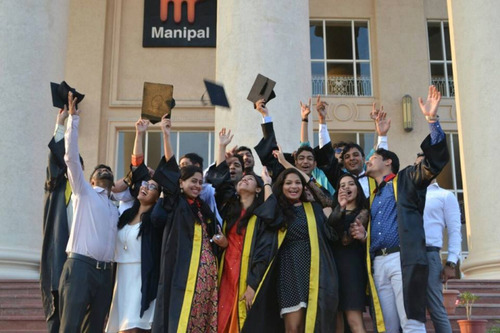 Student diversity – students in Manipal are mostly from Delhi, Chennai, Uttar Pradesh, Bombay, and Kota. Students are helpful and interactive as well. Affordability - college fees is bit high. College is a little bit costly as it provides many facilities. But it tries its best to meet its cost. Placements: There was a good placement record in our college for the senior's batch this year. The highest salary offered was Rs. 15 LPA which was given by Amazon and several others offered Rs. 8 LPA to Rs. 10 LPA. Dell came and took the students for a whopping amount of Rs. 8.5 LPA. Several other companies came which offered Rs. 4 LPA to Rs. 7 LPA. 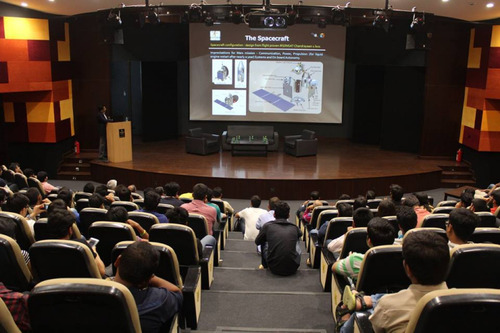 Some of the technical roles were offered to the students. Infrastructure: Regarding the infrastructure, Manipal University is one of the best universities. The facilities such the Wi-Fi facility, labs, classrooms and others are offered here. The Wi-Fi facility is available for all. There are three libraries on the campus with almost all the sources available with many copies. The canteen food is the best as compared to all the other colleges in Jaipur. There is a medical team in the hostel for all. Also, a 24*7 ambulance is available for any emergency situation. The classrooms are fully air-conditioned with the projector availability and a capacity of at least 60 students in each class. Also, there is a cricket ground, basketball courts, badminton courts, squash courts, tennis courts and volleyball courts. 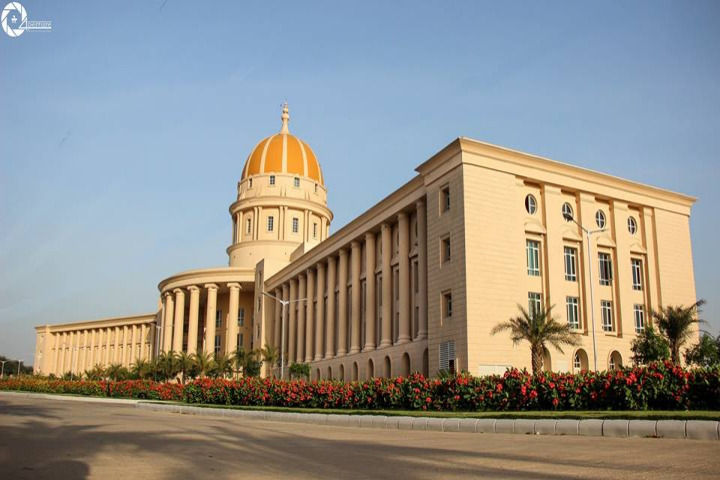 Faculty: The faculty at Manipal University are extremely helpful regarding the curriculum. One can contact them at almost any time over calls or social media. They are knowledgeable and qualified. Almost, 60% of faculty here are PhD qualified. Most of them use PPTs to teach. The environment here is very friendly Recreational activities: There are many clubs in the college for different activities Cinefilia is one of the biggest clubs in Rajasthan. Student diversity: People here come from all sort of families and most of them from high-class families. but everybody here is very friendly and helpful. 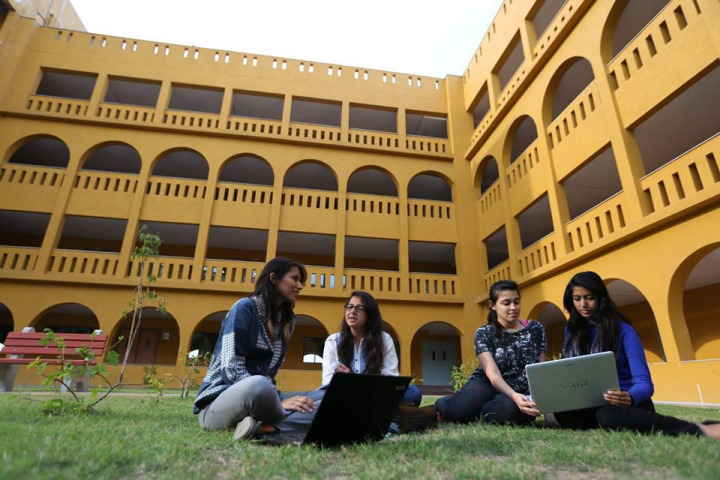 Affordability: the college being one of the best private colleges in India have a bit high fees. but it is affordable also college provides scholarship on many grounds. Also, the college has associations with banks to provide loans. What is tentative jee cutoff for manipal university in different b.tech courses? MET entrance does have negative marking ? 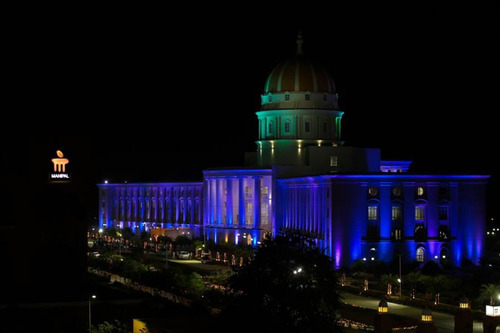 best manipal university campus ? Boys Hostel :NEW DOOR HOSTELS a flagship brand of GOOD HOST SPACES PVT. LTD, Jaipur, is much more than just hostels. 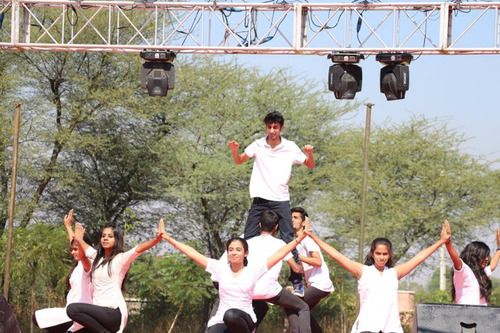 It provides world class facilities for; both academic and extra-curricular activities. It is a safe, smart, convenient and full of fun experience for students. The infrastructure and facilities within the hostel campus are state of the art and are designed to promote innovation and creativity. NEW DOOR HOSTELS, GOOD HOST SPACES PVT. LTD houses a meticulously planned and well maintained student food court which serves delicious, healthy, hygienic vegetarian and non-vegetarian food; which caters to international and Indian cuisines at reasonable prices. The Hostel is situated right across the street from the university campus and hence is easily accessible, offering a very convenient and pleasant walk to the University Campus. NEW DOOR HOSTELS, GOOD HOST SPACES PVT. LTD also hosts cultural and sports events, to promote healthy living habits in the hostel campus for residential students. Girls Hostel :NEW DOOR HOSTELS a flagship brand of GOOD HOST SPACES PVT. LTD, Jaipur, is much more than just hostels. 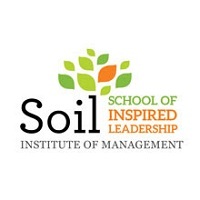 It provides world class facilities for; both academic and extra-curricular activities. It is a safe, smart, convenient and full of fun experience for students. The infrastructure and facilities within the hostel campus are state of the art and are designed to promote innovation and creativity. NEW DOOR HOSTELS, GOOD HOST SPACES PVT. 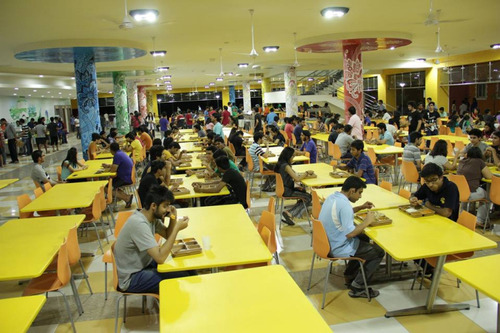 LTD houses a meticulously planned and well maintained student food court which serves delicious, healthy, hygienic vegetarian and non-vegetarian food; which caters to international and Indian cuisines at reasonable prices. The Hostel is situated right across the street from the university campus and hence is easily accessible, offering a very convenient and pleasant walk to the University Campus. NEW DOOR HOSTELS, GOOD HOST SPACES PVT. LTD also hosts cultural and sports events, to promote healthy living habits in the hostel campus for residential students. Medical/Hospital :A resident DOCTOR along with an AMBULANCE is available in the hostel premises itself. In case any student requires MEDICAL attention, he/she must immediately inform the Caretaker/Matron/Warden. The student will be given due attention in the form of proper MEDICAL CARE and taken to the HOSPITAL if required. The caretaker/matron will call up and inform the Warden/Chief Warden who will inform the parents/guardians. Library :The collection in the library encompasses 50000 books of 16177 titles varying in subjects like Engineering, Management, Hotel Management, Architecture & Design, Basic Science & Humanities and also includes reference books, CD-ROMs, VCDs, DVDs and e-resources. Currently, the library has about 50000 books, 2350 CDs/DVDs and subscribed to 200 print journals and 70 magazines in print and e-resources. Major e-resources such as IEL Online Library, Science Direct, IEEE Explore, ASME, ASCE, McGraw-Hill Access Engineering, EBSCO for Management, Hospitality and Architecture are accessible to the MUJ community from anywhere on the campus. 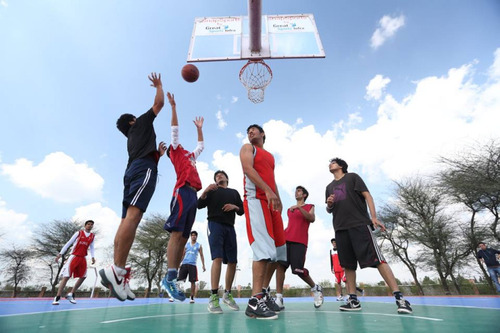 Sports :Following are the details of sport facilities available at MUJ:- Tennis:- Well-developed tennis courts with modifiable tile flooring along with fencing around the courts, which provides an international standard playing experience Basket Ball:- Professional basketball courts with modifiable tile flooring, for an enthusiastic play Football:- A lush green football field that encourages the students to be physically fit Indoor Games:- Table-tennis, Carom, Chess and badminton along with essential and standard accessories Cricket:- A lavish green outfield with turf pitch of an international standard along with two practice pitches that provide an ample opportunity to the students for exploring their talent Others facility:- Volleyball courts with astro-turf flooring; Kabaddi and Kho-Kho games facilities. Auditorium :World class Auditorium and Conference facilities designed by eminent Architect, Hafeez Contractor providing excellent support for the important meetings, conferences, seminars and presentations are available in a much secured and technologically advance an environment of the Manipal University Jaipur campus. Auditorium, naming Amphitheatre, has a capacity of 200 seating and an excellent stage to be used for all common functions/events. The entire facility is fully air-conditioned with a dedicated power back-up. Laboratories :Separate Laboratories facility available for every department on the university campus. Moot Court :Moot Court facility available for Law Students.